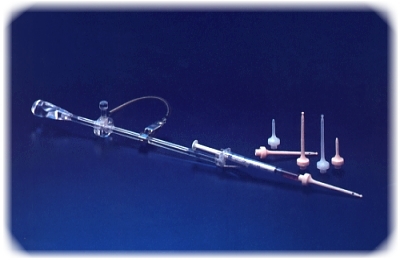 Due to its length it is easy to introduce the Makler® Cannula into the uterine cavity. Prevents the leakage of the injected sperm. It provides an excellent sealing by pressing the Makler® Cannula against the cervix. The pressure on the cervix can be adjusted by a clamp which is attached to the speculum. No need to hold it during the entire procedure.